Elisabeth Fowlie Mock hasn't added a story. I'm Elisabeth Fowlie Mock, a Family Physician in Bangor, Maine. I became aware of the need for Family Physicians to step up our work in Addiction Medicine as a result of working on several statewide quality and leadership initiatives. 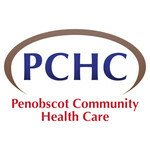 I am participating in this event to raise money for the work of Penobscot Community Health Care, a community leader in the fight against the opioid crisis. We physicians need to take a leadership role in assisting out patients and communities and I'm taking a huge jump backwards off the Cross Center to help! Elisabeth Fowlie Mock hasn't posted any updates yet.